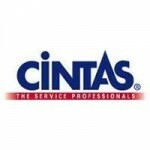 Cintas Corporation is a company that deals in public trade. They have their centers across 430 facilities in North America. They even offer several specialized services for carrying out various businesses. The company strives in offering services that include manufacturing and designing corporate identity and related uniform programs, supplies for rest rooms, entrance mats, products related to safety and first aid, promotional products, document management and fire protection. They offer such extensive services to over 9 lac business enterprises of the region. Cintas Corporation achieved the feat of acquiring the status of the 'Most Admired Companies' for consecutive eight years. There are currently 0 consumer reviews about Cintas Corporation available. Share your review. Please take a note that you are about to post a public review about Cintas Corporation corporate office on CorporateOffice.com. This review will be public, so please do not post any of your personal information on this website. If you would like to contact the corporate offices of Cintas Corporation, please use their contact information such as their phone number, website, and address listed above to contact them. However, sometimes staff from Cintas Corporation headquarters do read the reviews on this website.